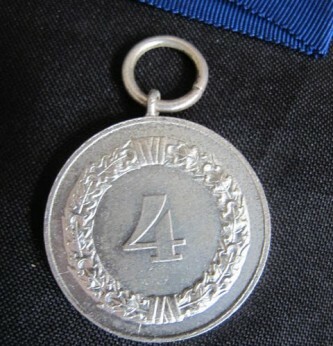 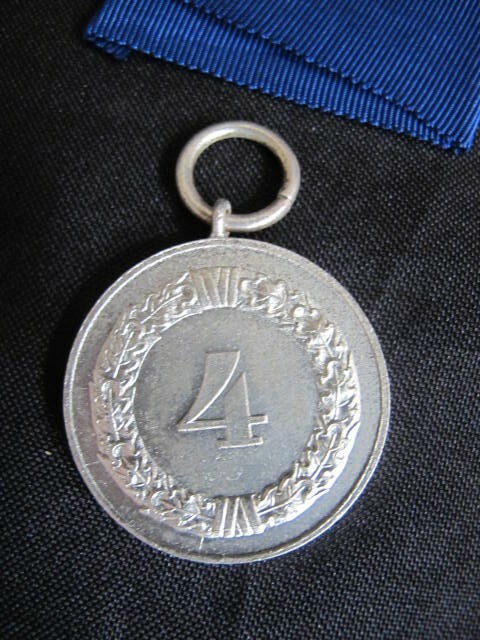 Mint un-issued condition army 4 year Long Service Medal. 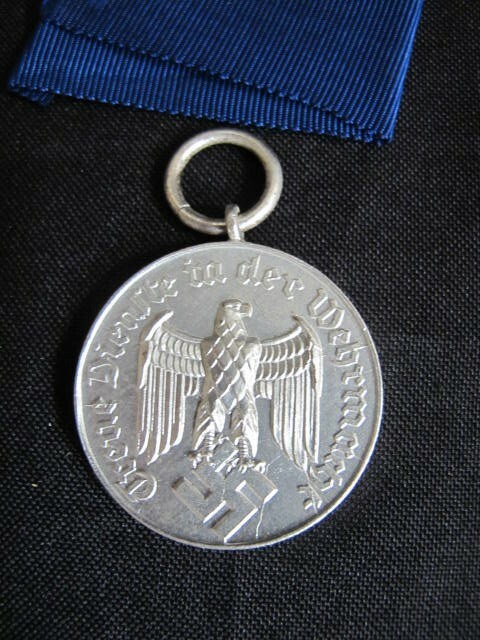 Complete with ribbon. 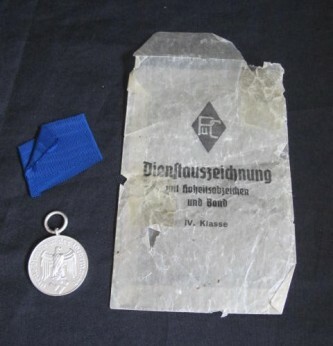 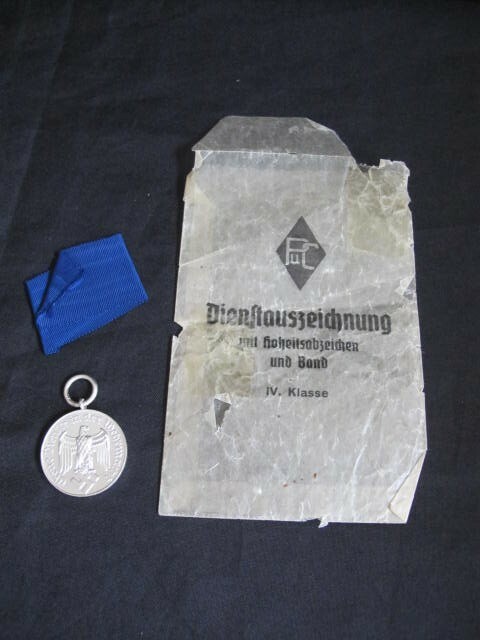 Medal retains all its original silvered wash finish and comes complete with its scarce celluloid paper issue packet. 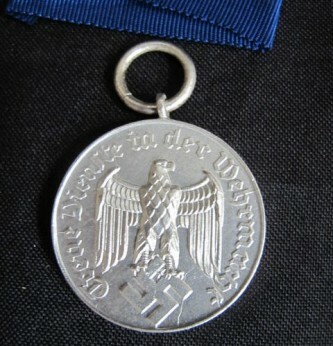 Would be hard to better and example of this medal seldom found in this condition.